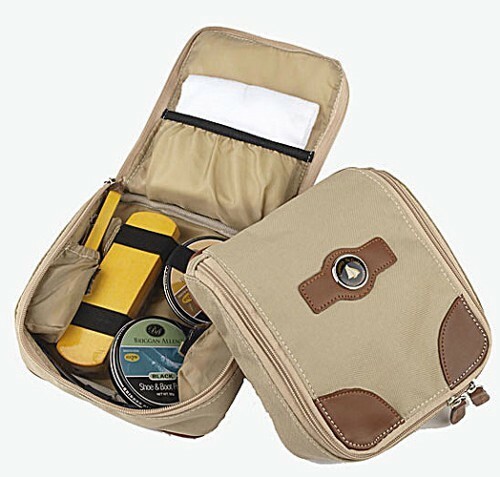 Our leather and nylon compact shoe shine kit, with medallion imprint, keeps your shoe essentials organized. Fully loaded with a complement of wood handle brushes, buffing cloth, black and tan wax polishes and shoe horn. Secure zipper closure. Great travel gift or golf tournament favor. Khaki nylon interior. 7" x 6.250" x 2.375"